There are 2 types of people who will read my blog. The ones who read everything, comment and ask questions, but never do anything. The ones who decide to take action ASAP. The second group is going to get results and learn mobile performance marketing a lot faster than the rest. Even if they don’t read each one of the articles I write. Because to become successful at one thing, you need to do it. And to be good at it, you need to take action and fail several times. This quick start page is crafted for action takers (A.K.A. the ones who’ll make money, AK.A. YOU!). If you want to get started ASAP and launch your first mobile campaign before the end of the week, here’s what you need. Let me guide you step by step to get started and then you can learn from my posts and improve your campaigns to get profitable. If you’re running CPA offers already you can skip steps 1-4 and go straight to point no.5. Pro tip for starters: Bookmark this page. Yes! Do make money you need money. How much? I’d say at least $500-1,000 to get started. $2,000 or more is highly recommended but you don’t need to have all that money at the beginning. So if you’ve got $500 or more you can get started. Don’t have enough money? Get a job. Sell a few things. Save some money from avoiding clubs, trips and similar stuff for a few months. Do whatever you need to save those $500-2000 to get started and come back here to launch your first campaign. I know it sounds harsh but that’s what most people do. Don’t be foul and think that making money with mobile CPA offers is easy and that you’ll spend your first $100 and get back $500. That won’t happen. Not a shared hosting account. Not a dedicated (unless you can afford it and you’re doing good volume already). A VPS is the sweet point to get started with CPA marketing. You need fast load times to make sure your visits see your landers and click to your offers. A shared hosting can kill your ROI and a dedicated or a super fast VPS can improve it a little (I’ll release some tests about this later on my blog). Many affiliates recommend Beyond Hosting, Liquid Web, etc. If you feel comfortable with $50 a month to get started, go for it. But you can also get an unmanaged VPS from Vultr for $5 per month and it will load up as fast as a dedicated. That’s up to you. You’re just adding landers to your domain via FTP, so there aren’t special requirements at this point. What matters is to get started fast and collect data to learn. This is where you’re buying traffic. A few sources to get started are: Inmobi, PopAds, Popcash, Airpush and MGID. Also, many people recommend to get started because their interface is user friendly and they have tons of parameters to track. Fore more networks check out the Resources area. I’d recommend picking up 1-2 traffic sources maximum and deposit your money there. First time I got started on mobile I deposited $500 in a traffic source and got a sweet deal for another $500 bonus. The point I’m trying to make clear is that you should pick up 1 traffic source at a time and dominate it. Don’t spread your $1000 in to 10 traffic sources with $100 deposit each. You’ll regret it. I guarantee it. A tracker isn’t optional. There’s CPV Lab, Adsbridge, iMobiTrax, Thrive, Binom and Voluum. If you don’t have a tracker already, pick up Voluum or Adsbridge. Adsbridge has a 30 day trial (nobody else has this anymore). 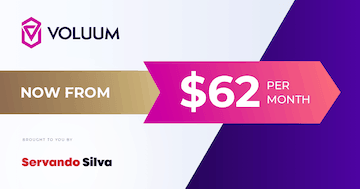 Or use Voluum and you’ve got free clicks if you’re running traffic from Zeropark. I prefer Voluum, but Adsbridge is really good too. Not all CPA networks are equal. Some of them have tons of Toolbars and Game offers. Some of them have offers in specific niches like skin, diet, etc. but some are specialized in mobile. That means at least 50-60% of their offers of not all, are mobile. If you’re starting you need a network with a low payout limit and quickly payments. Some networks offer weekly payments with a min. amount of $50-100. Make sure you sign up with them if you’re low on cash or you’re a beginner. Trust me. You don’t want to spend $500 in 1 week and then wait 45 days until you get $300 back from your network to launch more campaigns. A few networks that are easy to get in are Furthermobi and Mobpartner. Yeahmobi also pays on a weekly basis but they require you to prove you can make at least $1,000 per month. If you’ve been running web/desktop offers before and you’ve got earning screenshots and cash flow I’d recommend you to try: ClickDealer, Mundo Media, Gotzha, Yeahmobi, AppFlood, Adsimilis and Advidi. Once you get approved add your manager via Skype or send him an email. Ask him/her for the top offers of the last days/week by Volume or Revenue. EPC doesn’t matter at this point, so Volume/Revenue is what you need to know. Check the top 50 offers and select 1-3 similar offers in the same niche. The conversion process can be via Leads Generation (SOI/DOI), CPI (App installation and open), PIN submits (1 Click, 2 click flow, MT FLOW, etc.) or CPS (per sale or revenue share). Select an offer with a low payout (below $2) and 2 similar offers to split test. There are several niches, including coupons, dating, adult, utilities, sweepstakes and more. Add the offers and landers to your tracker and submit your banners/landers to your traffic source to launch your first campaign! If you made it this far, you’ve launched your first of many mobile campaigns. you’re already ahead of the rest that didn’t take action. The only thing that’s worse than failing is not to make anything at all. Want to learn more? Read my blog articles and subscribe to my weekly newsletter on the sidebar. I’ll write weekly articles with tips and case studies to help you learn more and create winning campaigns. I represent https://peerclick.com (SAAS ad tracking software). How could I reach you out to discuss possible cooperation? Thank you in advance. We are looking forward to hearing from you. Hi Servando, thanks for this great content. Most people package this worth in courses and sell them. I’ve bought u few on udemy, but it’s free here. 1. Most network refuse to approve an account, if you can’t show any payment history, are there some few you can recommend that do not require to show history? 2. How can we spot a high converting offer? 3. I hear lots of cpa markers talk about cloaker, is this recommend? Glad to help a little. 1. Not all of them require history, but mostly they require you to be honest. So if your first network asks for screenshots tell them you’re new, but you’re serious and you have an amount of budget per month to make it work with some type of traffic you select. 2. By asking your manager you can know this directly. You can confirm this while spying with tools like Adplexity or others. 3. Not for a starter. This only applies if you end up going the black hat route on sources like Facebook. But definitely not something I’d recommend to a newcomer in the industry. Which ads monetization deals with the views a website make not per clicks of ads. You’re looking for CPM (Cost per thousand impressions) networks. However, you need to understand that the true value of advertising comes not only through views, but also clicks AND conversions. If your traffic ever clicks your ads, your CPMs will be super low, or maybe even 0. Hello Servant, I really like to visit your page. I am starting in ecomerce, do you have any course or ‘training in Spanish? Hi Carlos. I don’t have any eCommerce courses. Are you limited to Spanish only? Con ese presupuesto recomendaría apps o sweeps de países tier2/tier3 en tráfico pop ya que es algo limitado. Ten en cuenta que necesitas herramientas como un tracker, servidor, dominios que también tienen un costo mensual. Is this article still relevant for this late part of 2018? Paying for PVN, do i still need a website? Your latest review for Trackers is Binom, should we remove Voluum in this article & replace it with Binom? Yes, this is still relevant although a bit outdated. VPNs are good for spying, and you always need a domain for landing pages (A.K.A. website). As for trackers you can use whatever you want. I like Binom and it’s what I use nowadays but there are dozens of options out there. Ambas fuentes puede funcionar. Peerfly es una de muchas redes pero lo importante no es de que son, sino el vertical que quieres atacar y para esas redes te recomiendo rifas/Sweeps para iniciar. El presupuesto es decente para empezar a aprender. Do you think zeropark and tonic are good traffic sources for starting in CPA? I’ve tried popads and popcash, but they have a lot of bot traffic. They’re very similar. PopAds from those would be my choice as it’s easier to get positive campaigns and optimize variables than the rest. Bot traffic is always present and it isn’t that bad. Everybody has to deal with it. I know getting annoying messages from nudging Affiliate Managers like me must be a pain, but honestly, I believe that my offer to you is way too good to be ignored :-). Bottom line, I believe you will be able to make much more profits with us than with anyone else. My name is Gal BTW, and I work for Kamatera (Virtual Private Servers – cloud services). We have an amazing product (that I am sure you will relay to) and I would like to discuss potential marketing opportunities with you. Well, the offer has nothing to do with what we talk about here so…. hi servando, I’m one of your subscribers. Thank you for your Blog and great tips on youtube. ( Mindblowing ) check your FB inbox. I sent you a friend request a week ago. add me Thanks! I use FB mostly for family and friends only, but if you want anything business related you can find me on twitter or via email. Hola. Si recomiendo usar landings para ese tipo de tráfico para aumentar tu tasa de conversión. La mayoría tiene pre landing pero hay muchas razones por las cuales te conviene usar de todos modos una LP. ¿Cómo ves el futuro del CPA? ¿Crees que sigue siendo rentable a día de hoy y lo seguirá siendo por unos años más? El tráfico pop sigue siendo rentable, o está muy quemado? Veo que mucha gente le da mucha caña a este tipo de tráfico, pero no se si sigue funcionando. Si sigue siendo rentable. Más competitivo pero siempre hay cosas nuevas y tendencias rentables. Pops funcionan, pero además native y eCommerce están creciendo mucho. Durante un tiempo, he estado corriendo todo tipo de ofertas CPA con Facebook ADS, pero me gustaría meterme en media buy. Con que tipo de tráfico me recomiendas iniciar? Tengo un presupuesto de unos 1.500$. Hola Raul. Con ese presupuesto te recomendaría tráfico pop. Me tienes en skype o email? En Skype, no te tengo, y en email, estoy suscrito a la newsletter de este blog. Si dices que el tráfico pop sería mi mejor, popads es una buena fuente de tráfico para email submit? Si, PopAds es buena fuente. Si me respondes a cualquier newsletter de ahi te puedo dar más información en Español. Saludos! I am a newbie and I have been following your posts for long from affiliate fix.In short I love them all…you are great sir. I am having adworkmedia,cpagrip,targelon and aragonadvertising CPA networks.Which one can you recommend for me among them and will not land me into regrets. Also,facebook ads have a good tracking tool,with that,do I still need the likes of adsbridge and voluum. Lastly,you mentioned adplexity tool for spying.what do you think of admobispy and whatrunswhere? Please I will appreciate your response as soon as possible. Adworkmedia is good and the other I have heard about them but I don’t work with them so I can’t really say anything good or bad. Facebook ads doesn’t have tracking tools for a lot of things, so it’s always good to use an external tracker. Finally, Adplexity is definitely better than whatrunswhere and admobispy. I’ve tried them all. Thanks so much my dear brother! Sir i have a pharmacy business and i was work with 7 Search but they shut down the business and i was make a account with zeropark but they declined my application.. i am looking keyword targeting PPC .. like i was work with 7 Search there i can check my competitors bid .. can you please help me this .. request to you.. Try 50onred. Also you can try bing ads and adwords since you were using search ads before. I’ve tried multiple times mobile CPA marketing but I have problems with traffic sources, I always get bot traffic and it annoys me, wat should I do ?? Optimize your campaigns. There’s always going to be bot traffic there. Optimize and block until you’re profitable and exclude most of the bot traffic sites. Hola Servando, antes que nada quiero agradecerte por todos tus posts con consejos que compartes de manera desinteresada, realmente ayudan mucho. Quiero comenzar nuevamente a trabajar con CPA. Anteriormente lo intenté, pero leyendo en distintos blogs (como este!) y foros, me di cuenta que no tenía las herramientas necesarias (por ej. no utilizaba un tracker y ni sabía lo que era). Leí tu comentario sobre una pregunta acerca del futuro del cpa, y que recomendabas ahora mismo comenzar con e-commerce y tráfico de facebook Ads. Teniendo en cuenta que estoy por comenzar, ¿me recomiendas empezar a aprender a trabajar con cpa o directamente meterme de lleno con e-commerce? Y respecto a esto último, cuando dices e-commerce te refieres al dropshipping? Cualquier consejo será muy apreciado, un saludo y gracias! Gracias por tu comentario. Ecom y en general muchas cosas white hat de este mundo están creciendo en este instante y son el boom, por lo cual creo que si es una buena estrategia para iniciar. En e-commerce puede ser vendiendo tu propio producto, dropshipping, print on demand, etc. Eso ya depende de tí. what s your opinion about the impact of google chrome built-in adblocker and cpa in the future ? They’re going to be more difficult for beginners and affiliates will have to adapt or die to new things. Right now it’s a good time to move to e-commerce or learn white hat traffic sources like FB or Adwords. i have most of this tips and i tried many times, get profit but the most of campaigns i failed. can i know profitable methods. This are profitable methods. How many times did you try and how much did you spend so far? Thanks for the great tips. Do you have any recommendations for offers if using PopAds? I want to get something to convert but haven’t discovered the right niche/product yet. Still working on it. The best recommendation would be to get a spy tool like Adplexity and see the offers and landing pages that are being run there. You can search by network (PopAds) and geos/OS, etc. That way you won’t need to discover the right product or niche and you can start with what’s already working there. how Hide & secure My landing page from ( affiliate network and Ads network so from competitors, spy tools, compliance checks and stop people sharing your lp links ??!!! That’s something advanced that normally can’t be mentioned publicly. I don’t recommend it, to be honest. For mobile tracking (carriers, OS, etc) I think Voluum and Adsbridge are your best options. what i need to setup VPS ?? i have do steps to be ready for hosting my landing page ?? I plan to write a guide about it next week. What are you looking for, exactly? Hey Servando, great quick start guide. I’m curious, should a person put any content on these sites or just the CPA offers? Thanks! This is just for CPA sites with direct landing pages man. No content needed. Hey Servando! I’m new to PPC, but I’m hoping to make something out of this. I started looking into trackers, but Voluum is $99/month (no longer free?) and thrive is just as expensive. Would you recommend a noobie with a low budget using those trackers or should I get something like Prosper? Thanks! Try Adsbridge as they still have a 30 day trial. I’ve been testing different trackers lately. I’ll add it to my to-do list. Thanks. What worked best for you in ZP’s domain or PPV? Ah, I mentioned that in the thread but basically it’s apps, sweepstakes, antivirus and a few dating/adult offers. Nah, but I’ve seen a lot of people doing similar strategies with a lot of head aches just to make $5 per day. I was never interested on it. thanks servando has been great help to me all this information . I need to learn to make winning campaigns in zeropark and how to select winning bids . Good Post for the Newbies. Nice post Servando, thanks man ! Sent from Outlook Mobile. Yes, it works with gmail.